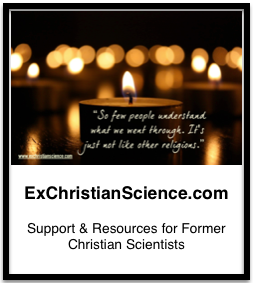 This is part of my on-going series of posts on Health Care for Christian Scientists & Former Christian Scientists. I am not going to even begin to attempt to talk about First Aid, I am NOT an expert, I can however direct you to the experts at the Red Cross. Many years ago I took the Red Cross Babysitting Course, it was useful and impressed the mothers I babysat for. The Red Cross offers a variety of courses and I highly recommend you check them out. The Red Cross also has tips about first aid kits, and will happily sell you all the first aid gear you’ll ever (likely never) need – having it on hand makes you feel better about it all somehow. Check your first aid kits every few years to make sure nothing’s expired and replenish what has been used.